Farm2Mountain > Announcements > Welcome to the New Website! The Farm2Mountain Produce Club is excited to announce the launch of our new website! You will find us at www.Farm2Mountain.com. From here on out, please use the new website for orders, inquiries, etc. We’ve made a few changes to the Farm2Mountain Produce Club. First, if you have not already done so, please review the new Terms and Agreement form (effective January 2015). We’ve changed the weekly order deadline to Friday at midnight. Next, we’ve launched a completely new website that we hope you find easy to navigate. We’ve added product images, descriptions and a new ordering process. If you have difficulty or find a problem, please email the Webmaster (Laura Johnson). Lastly, at this time the only standing orders we are accepting are for box orders. You can indicate that on the Box Order Product Page. If you wish to make a change to a standing box order or include additional products, place the order for the additional products and indicate your change/addition note in the Comments section upon checkout. 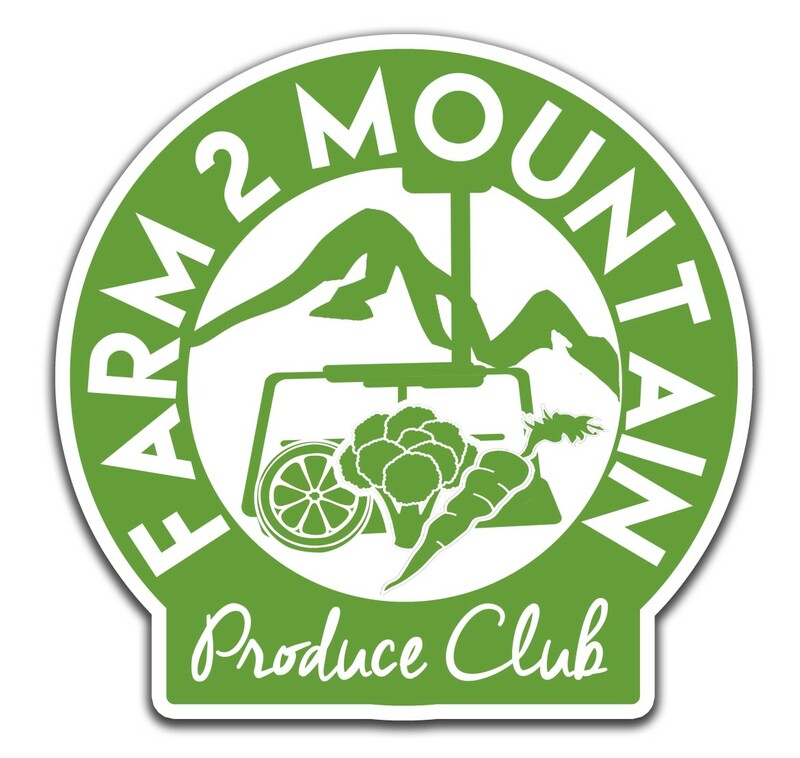 We’re excited to share the Farm2Moutain Produce Club with you! Please review and accept the Terms & Agreement prior to placing an order. If you have any questions, please contact Tracy Tokunaga at Farm2MtnFoods@gmail.com. Ordering is easy! You can now order your products online and soon you’ll be able to pay via PayPal! Click Order Now at the top of the page to view all products, or select a category from the drop-down menu. Simply click Add to Cart under each item that you wish to order. You can view all items in your Cart by clicking My Cart at the top of the page. In My Cart you can adjust quantities or delete items. You can also select pick up at Big Bear Middle School or the $10 delivery option. Please note that we have included the monthly membership fee in the product listing. Add the monthly membership fee to your first order of each month. Once you are ready to place your order, click Proceed to Checkout. Existing customers (of which we have none at the moment because this is an entirely new site) can log in where directed. New customers can create an account on this page, which we encourage you to do so that you don’t have to enter your name, address, etc. each week. Indicate your payment method at the bottom and click “I’ve read and accept the terms & conditions” – then submit your order! We welcome your questions, feedback and suggestions. Please email the Webmaster – Laura Johnson with website related questions and Tracy Tokunaga with product questions. If you’re not sure, just email us both!